Are you suffering from a tension or migraine headache? An over-the-counter (OTC) pain reliever may be what you need to relieve your symptoms. But which is better? Aspirin? Advil? Tylenol? You might think the popular pain relievers are interchangeable when it comes to headache relief, but they’re not. Aspirin, Ibuprofen, and Naproxen are non-steroidal anti-inflammatory agents (NSAIDs), a group of medicines that reduce inflammation, pain and fever at sites of tissue damage or infection. 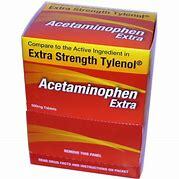 Acetaminophen belongs to a class of drugs called analgesics, which are used to treat pain and fever but not swelling. Each type of pain reliever has its own risks. 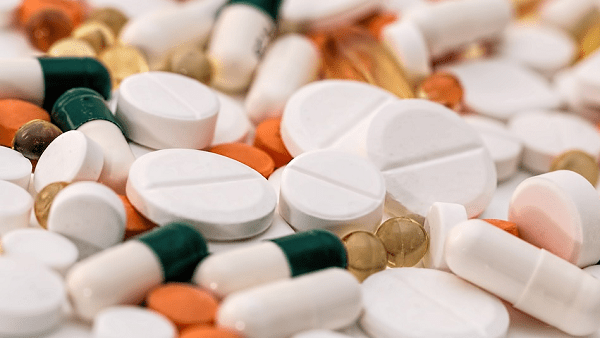 For example, the main problem with NSAID pain relievers (and the reason why many people choose to use acetaminophen instead) is the fact that NSAIDs can only be used for short periods of time due to side effects such as stomach bleeding. However, overuse of acetaminophen can damage your liver. Keep reading to learn more details about these OTC pain relievers, and how to choose which one is right for you. Aspirin (Bayer or Bufferin) is a natural chemical compound derived from salicylic acid, which when absorbed into the bloodstream has analgesic (pain relieving), anti-inflammatory, and antipyretic (temperature-lowering) effects. Aspirin is used to treat tension headaches and migraines, to suppress minor body aches and pains, and to reduce inflammation when we’re sore. But it’s rough on the upper digestive tract since it can cause upset stomach, heartburn, and indigestion (dyspepsia). Also, it’s not safe for children under 12 because aspirin increases the risk of developing a serious, often fatal childhood condition known as Reye’s syndrome. Aspirin may also cause a severe allergic reaction with facial swelling and breathing difficulties. In older adults, aspirin is used in small doses to lower the risks of having a heart attack or a stroke caused by a blood clot. It may also be given as a single dose at the time of a heart attack to improve outcomes. That’s because aspirin reduces blood clumping and keeps blood flowing to your heart. But patients with hemophilia or any type of bleeding disorder should avoid low-dose aspirin since it can decrease blood clotting. The most common misuse of aspirin is taking too high a dose, especially without food, resulting in stomach cramping and discomfort. Long-term aspirin use has long been known for increasing the risk of gastrointestinal bleeding. Aspirin is a common ingredient of several OTC and prescription medications, so keep that in mind because you should not take aspirin in combination with other NSAIDs unless your doctor specifically tells you to. Ibuprofen (Motrin or Advil) is chemically similar to aspirin and functions in much the same way. But in lower doses, ibuprofen seems to irritate the esophagus and stomach lining less than aspirin and naproxen. So if you have ulcers or acid reflux, ibuprofen may be the best product for pain resulting from inflammation (arthritis, sprains, sunburns, etc.). Ibuprofen is not the best remedy for headaches, even though it is effective. It can be habit-forming if used too often, and if you are using ibuprofen every day to help control headaches, paradoxically the medicine itself may actually be contributing to them through a process called “medication overuse headache,” one of the most common causes of daily headaches. Long-term use of ibuprofen also increases the chances of cardiovascular effects including hypertension, heart attack and stroke. While the risks of gastrointestinal effects are lower with ibuprofen than with aspirin, long-term use of the medication can still cause gastrointestinal and kidney problems. Older adults, people with kidney disease, and those with congestive heart failure are more likely to experience problems with ibuprofen. Preventative measures include drinking plenty of fluids when taking the medication to prevent dehydration and lessen its strain on the kidneys. Naproxen (Aleve) is especially effective as an anti-inflammatory agent for arthritis, sprains, sunburns, and other inflammation-based pain. Also, similar doses of this over-the-counter pain reliever tend to last longer, often for 8-12 hours instead of 4-8 hours, giving it an edge over its competition. Naproxen is not as effective on headaches. In people with high blood pressure, taking NSAIDs long-term may worsen underlying high blood pressure. NSAIDs are absorbed completely and rarely affect the liver, but can impair kidney function. And while kidney problems can occur with any NSAID, naproxen seems to be a bigger culprit. In particular, people with existing kidney problems are more likely to get in trouble with naproxen. In one study, patients who took NSAIDs had twice the risk of acute kidney injury within 30 days of starting to take the NSAIDs. The good news is, it’s reversible if you stop taking them. Acetaminophen, aka Paracetamol (Tylenol) is an analgesic (pain reliever) and an antipyretic (fever reducer), but it is not an anti-inflammatory substance like the others. As a result, it soothes headaches effectively but it won’t do much for sprains. It’s a common choice for alleviating tension headaches, although not so much for migraines. Acetaminophen is one of the most well-tolerated medications and is less irritating to the lining of the stomach than NSAIDs, making it the best pain reliever for people with acid reflux disease, ulcers, and the like. However, it’s important to be aware that because its normal dosage for pain relief and its overdose amount are not incredibly different, some doctors consider acetaminophen to be more dangerous than aspirin, arguing that it is easier to overdose unintentionally which can damage your liver or even cause liver failure leading to death. Overdose on acetaminophen is the main cause of acute liver failure in both the U.S. and the U.K. Believe it or not, acetaminophen is among the most overdosed drugs in the world. Here’s an example of how easy it is to accidentally overdose: You have a headache and you take the maximum dosage of Extra-Strength Tylenol. You also have a cold, so you take a dose of Robitussin cough syrup that contains acetaminophen. At that point, you have gone beyond the safe dosage for acetaminophen. If you are experiencing pain or swelling that will last for only a short period of time, use an NSAID pain reliever. If you need to take a pain reliever fairly regularly, acetaminophen is generally safer than NSAIDs. If you take too much acetaminophen, it can cause liver damage. You may need to try a few different pain relievers to decide which one works best for you. Some doctors may recommend alternating the medications used if you need additional pain relief. But remember, those that are in the same class (such as aspirin and ibuprofen, both NSAIDs) shouldn’t be taken together. However, either aspirin or ibuprofen can be safely combined with acetaminophen (non-NSAID). Did You Know…? Excedrin contains both aspirin and acetaminophen, making it a very effective headache and migraine medication. Excedrin also contains caffeine which induces vasoconstriction (narrowing of the blood vessels), further helping to relieve migraines associated with vasodilation (widening of the blood vessels) in the brain. To reduce the risk of complications from taking any of these medications, you should use the lowest effective dose for the shortest time possible (no more than two to three times per week, or no more than two weeks at a time). Be sure to consult your doctor if you need over-the-counter pain relievers for longer than that. Taking it one or twice every few months isn’t going to harm you, but the over-consumption of any NSAID carries the risk for digestive issues, bleeding, liver and kidney problems, just as too much acetaminophen is bad for your liver. When in doubt about the best medication to take, ask your doctor or pharmacist. Also be sure to run any OTC drugs you intend to take by your doctor or pharmacist to ensure that they are safe for you and won’t pose any drug or supplement interactions. Seek immediate medical care if you’re experiencing a sudden severe headache with stiff neck and nausea/vomiting/fever or vision changes/neurological symptoms.